EXCLUSIVE AT NET-A-PORTER.COM. PORTER cover star Margot Robbie is one of Michael Lo Sordo's many fans - she opted to wear one of his gowns to the I, Tonya premiere in Sydney. 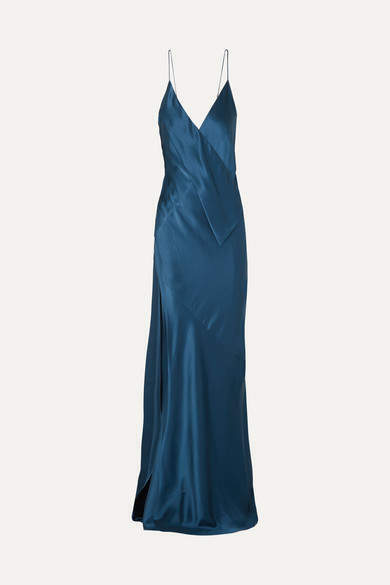 This version is made from the designer's signature silk-satin in a rich petrol color. It has slim straps, a plunging neckline and thigh-grazing slit.